I’m in need of some help picking out new tires for my Ranger. I drive a bone stock 2wd 2011 XL automatic regular cab with a 2.3l 4 cylinder. The truck has stock 4.10 gears. No lift, no suspension — stock. I am currently running stock 225/70r15 Continental tires. I am interested in upgrading one size but am concerned about straining my car (engine, gears, fuel economy, etc.). I would like to install a set of 235/75r15 all-terrain tires. Do you think this would be okay for my vehicle or should I stick with the 225/70’s? Also, I plan to continue using the stock 15x7 Ford wheels. 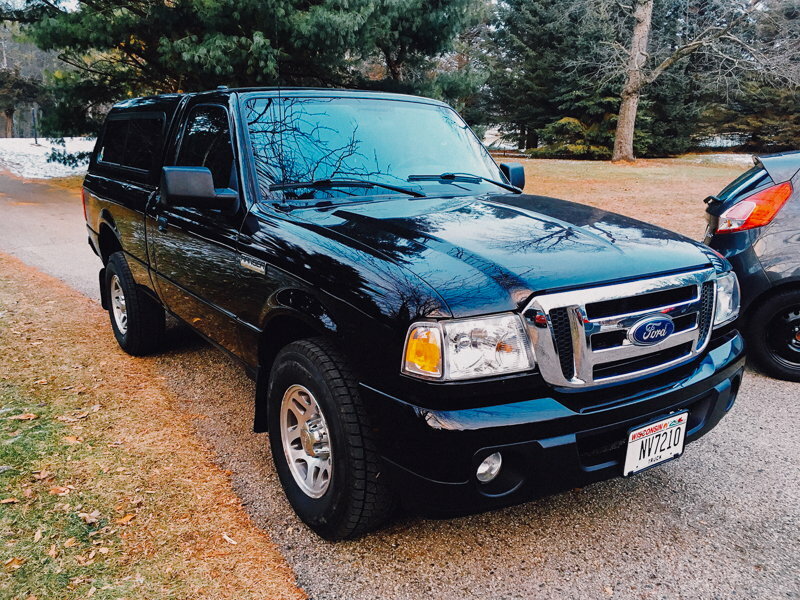 I realize there are similar questions to mine on this forum but I was struggling to find one specific to this exact vehicle (year, transmission, etc.). Last edited by mille1902; 01-27-2019 at 11:23 AM. They'll fit, but they'll also be a tad wider and taller. 225/70s are about 27.5" tall where the 235/75 are almost 29". The tire you have is the stock size as was mine. After my stock Continental POSs wore out (installed on there when I got the truck new), I immediately bought the 235s you're looking at now. Stock wheels, too. I liked them. Fit nice and filled up the wheel well a bit more. They "felt" better, too. After they wore out, I got my income tax refund and went temporarily insane and bought some 31" BFG A/Ts with some new 15x8 wheels. Me likie! You'll like the 235s. I didn't get any rubbing when I had them. Your speedo will not be the same. You will be going faster than what it's reading. To remedy, you can go get it adjusted/calibrated at a trans shop. Plus a little tune for more power. OP, I have your truck but with a 5-speed and 3.73 gears. First thing I did after driving the truck home through freezing rain on the bald stock continentals was order some 235/75r15 Bridgestone Blizzaks. Even before adding a 3" lift, the 29s were a huge visual upgrade. The truck still feels peppy, and I actually appreciate that it revs a little lower on the highway. No rubbing whatsoever. I 100% recommend this move. Do I have to upgrade the spare tire too?